Dave & Lynne were active in their church and community for 28 years before God moved them to Mexico. The couple had considered missions several times during those years but God had plans for them in Oregon. In 1993 Dave drove the bus for a youth missions trip to Mexico. A short time later the Johnsons began leading short-term teams and quickly got excited to see how God was changing lives. Little did they realize that God was soon going to change their lives more than they could have imagined. While on a trip to Mexico they were challenged to consider a full-time position in Mexico. After just two short months they began the application process. Within two more months they had been accepted and began plans to move to Mexico. As part of Mexican Medical’s Baja team the Johnsons live and minister in San Vicente. San Vicente is 140 miles south of San Diego, CA. Even though it is not far in distance from the USA, life is very different. This community is mostly indigenous peoples who are originally from other parts of Mexico. Many are working in agriculture for one season, and then return to their homes. 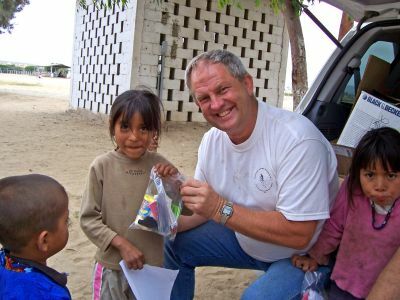 During the time they have served in Baja they have used “Community Health” education as a tool to share about Jesus and his love. As a result of this format, and God’s provision, they have developed a wonderful working relationship with the government health care system. With the mobile dental unit, which they manage, the health care system has often provided a dentist and taken them to locations which they would not be allowed into alone. The Johnson’s have been invited into the local grade school to teach “Community Health.” This program is continuing and has expanded to include programs for the parents. 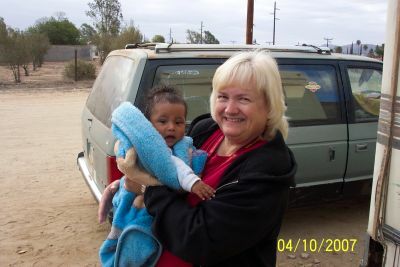 Dave & Lynne host both medical and short term teams from the USA and partner with local churches and governmental agencies to minister to the people of Mexico. These teams are a valuable assistance for outreach events. Families and individuals are welcome to come with the idea of serving in this ministry. Would you be willing to come and serve with them? Major Challenges: The difficulty of communicating God’s amazing love with people who have been taught to fear the spirits. Prayer Focus: Wisdom for Dave & Lynne as they serve with local pastors and continue building relationships. Teams: Short term and medical teams to assist and expand their ongoing ministry.